LONDON, Apr 23, 2018 - (Media OutReach) - DasCoin, the blockchain-based currency at the centre of an innovative digital asset system, has recruited a former investment and commercial banker to lead a powerhouse board of non-executive directors. An entrepreneurial heavyweight, Hejka has launched five private equity and venture capital funds. She worked as a commercial banking officer at JP Morgan Chase and an investment banker at Solomon Brothers. 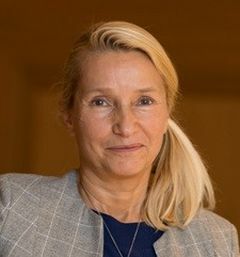 She has garnered countless awards, including being named a Global Leader for Tomorrow by the World Economic Forum, a Business Angel of the Year by the European Business Angel Network, and she also starred in Dragon's Den in her native Poland. Commenting on her appointment, Anna Hejka said: "I have decided to join the DasCoin board, because the company has attributes of becoming very successful. Its digitized, open and participative business model creates connected ecosystem of scalable communities of producers and consumers. It is a tribute to the amazing people at DasCoin who created this ecosystem which continues to grow with such momentum, and I'm thrilled to join at such an exciting time. "DasCoin has the potential to be globally disruptive to the benefit of all consumers, so my aim is to make sure that these incredibly hard-working people get all the support they need to create something very special." DasCoin founder Michael Mathias said: "Appointing someone of Anna's caliber to lead our Board of Directors is testament to the growing strength of DasCoin. She brings a huge amount of experience to our top-class board and will provide strong leadership as we work to establish DasCoin as the international currency of trust. "Anna Hejka's appointment comes days after DasCoin unlocked its digital ecosystem for the first time, publishing the source code for its blockchain on GitHub." DasCoin encompasses a fully-authenticated global community of users, world-class consortium blockchain technology, an integrated ecosystem, decentralized wallet access, a powerful incentivized growth engine, best-in-class payment system architecture and an interoperable blockchain protocol.